For more than 30 years, the Law Offices of Timothy H. Hankins has represented clients in civil and criminal cases throughout eastern Virginia. Over that time, in thousands of cases, our office has earned a reputation for hard work, honest communication and positive results. While our winning record is no guarantee of future success, we're committed to maintaining high standards for investigation and preparation, to give our clients every possible advantage in their legal disputes. 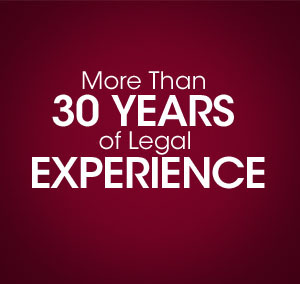 Our firm is available to help you. Our firm is very much at home with the working community of the Virginia Peninsula. Having been raised in a blue-collar home, and having driven a semi-truck early in adulthood, Mr. Hankins relates to the hopes and concerns of his clients, many of whom come from the military and the local shipyard. We understand that whatever has prompted you to consult an attorney probably comes with a great deal of stress. We maintain a friendly environment, where you can relax and feel at ease. Our clients typically enter with a worried expression, but leave with a smile on their face, knowing their case is in the capable hands of a caring and determined attorney. While we hope your first meeting with Mr. Hankins is warm and reassuring, that is not the impression we make on opposing counsel. Our opponents know right away (if they don't know us already) that we don't just take cases, we make cases. Our in-depth investigation and detailed preparation lays the groundwork for a compelling and factually sound argument for your case. Once we build the case, we negotiate firmly from a position of strength. We have no fear of going to court, but can often resolve a case prior to trial. Because we have a reputation for being fully prepared at trial, we've received more than a few settlement offers on our way up the courthouse steps. If you need a hardworking attorney for your personal injury, family law or criminal defense case, call Timothy H. Hankins today for a free consultation. Call 757-525-9883 or contact us online to schedule your appointment. We accept injury cases on a contingency fee basis, which means there are no attorney’s fees to you until we obtain compensation for your injuries.